Up The Mountain portrays a year in the painting studio of master artist Shen Jian-hua. Years ago, Shen moved from Shanghai to a remote mountain village in Dali, Yunnan Province. The film follows the calm rhythm of his life as he spends his day creating art and giving painting lessons to the local Bai women. 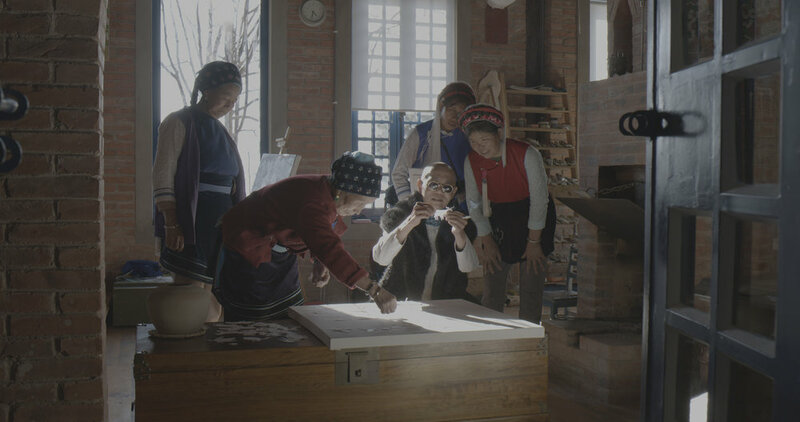 The fading traditions of the local community and the impact of a rapidly changing modern China are present in this film.